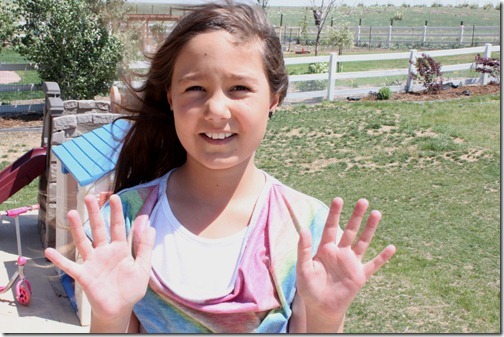 Welcome to another day of Kids Summer Boredom Busters! Today we’re making homemade sidewalk chalk! It’s super easy and cheap. Plus the kids loved making their own chalks, you can mix colors, layer colors, and best of all….no chalk dust! This recipe is fairly easy, I will warn you it can get a little messy, but all in all it went well! And, what better way to get kiddos outside and playing than some homemade sidewalk chalk! It provides hours of entertainment, while at the same time exercising some of those hand muscles they’ll need for handwriting when the new school year starts back up! So let’s get down to the nitty gritty shall we? Paper towel, newspaper, or any other object to cover and protect your counter tops! STEP 2: . 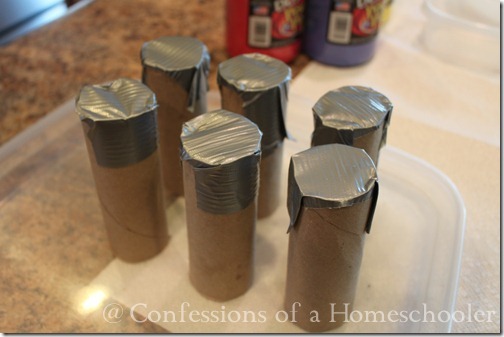 Cut waxed paper piece to approximate height of the toilet paper tube and rollup carefully and slip inside the tubes. 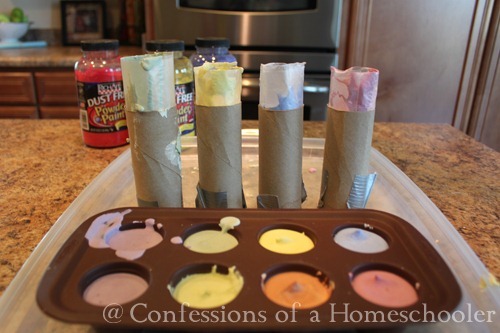 Tip: Make sure to keep the wax paper free of crumples during this part or you will end up with lumpy chalk. I also set our molds in the lid of one of my tupperware containers just so we wouldn’t have a mess all over the counter. You can also use papertowel, newspaper, or anything else you’d like to protect your counter! STEP 3: In a disposable bowl, mix 3/4 cup Plaster of Paris to 1 cup water. It’s okay if it’s kind of runny, we experimented with more and less water and they all hardened the same and work equally as well. In the future I’ll error on the side of runny as it was much easier to pour into the molds then the thicker plaster mix. 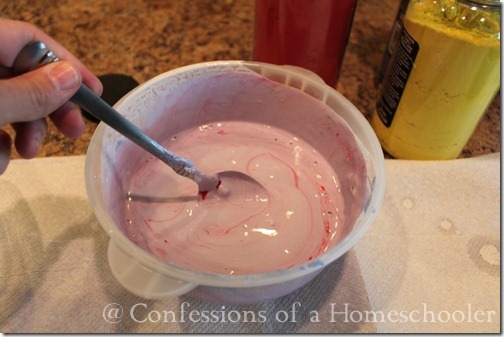 Add 1-2 tablespoons of powdered tempera paint of your choice and mix well. We only purchased red, yellow, and blue paint then mixed to create the secondary colors. STEP 4: Pour mixed colors into your molds quickly as it will set fast. Let molds harden overnight. The next day you should be able to pop them out of your mold. If you use toilet paper tubes, carefully peel them off of the chalk, then peel off the waxed paper. This works best if the chalk is completely dry when you try to remove the waxed paper. 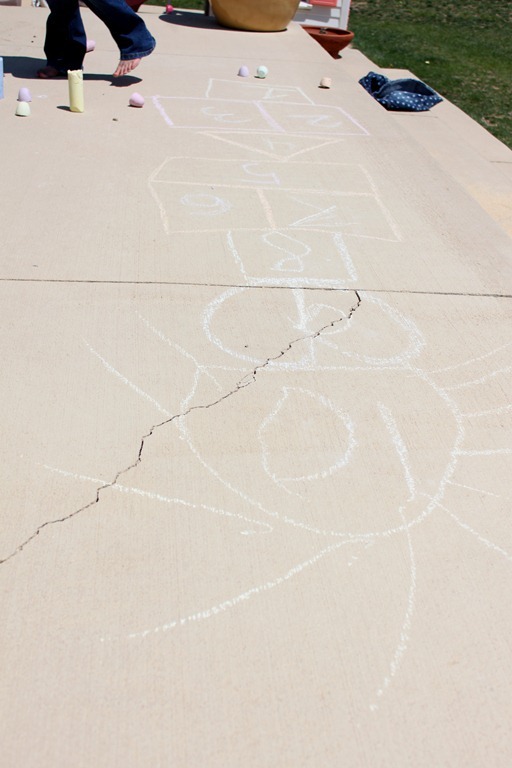 STEP 5: Take your new homemade chalk outside for some fun play time! BONUS: One thing Strawberry Shortcake noticed right off the bat…our homemade chalk doesn’t leave chalk dust all over your hands or clothes! Nice…I love it when you do something crazy like make your own sidewalk chalk, then get an cool bonus you didn’t expect! Final thoughts: My kiddos liked the silicone cake mold chalk best and they were certainly easier to pour. The toilet paper tubes ones were a little on the big side…although Strawberry noted that they’ll last forever! LOL! Hope you are enjoying your summer and have fun making your own homemade sidewalk chalk! I’ve added this to my to-do today! And the weather is finally cooling off enough that my kids won’t melt on the driveway when we play with their new chalk. Sorry for the double posting! We have been making this since I was little. we have always used the little paper bathroom dixie cups. perfect size for little hands and they already have a waxy coating to avoid sticking. just pour and tear away when dry 🙂 Where did you get the powdered tempra paint? I haven’t been able to find that in years. I’m adding this to our to-do for this weekend. 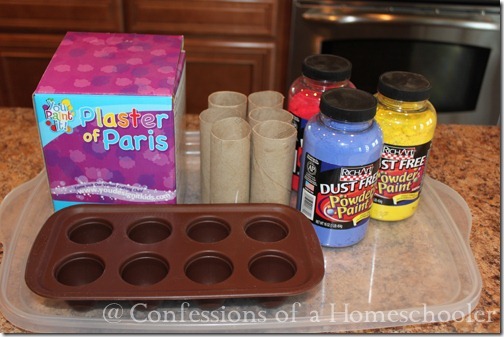 What a great idea, and I love the no chalk dust bonus, especially since one of my toddlers refuses to use chalk because it “gets her hands all dirty!” Thanks! This is great, I can’t wait to try it! The no dust part is especially appealing! Love it! My younger boys love chalk, but they always end up covered in it. Cannot wait to try this. How did the ones in the silicone mold hold up? 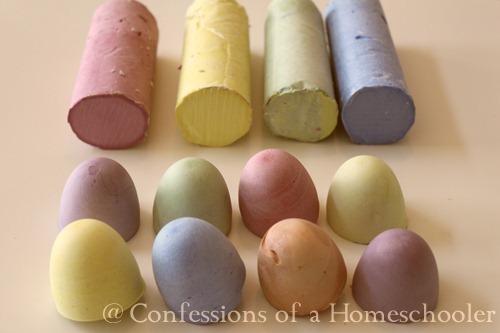 I have some fun shaped silicone molds that I want to try out doing this activity, but am not sure of the sturdiness of the chalk. How were yours? The silicone molds worked really well! Those were my favorite ones, because they came out so easy. The sturdiness is excellent! The silicone ones will get used up faster just because they’re smaller. Very cool! 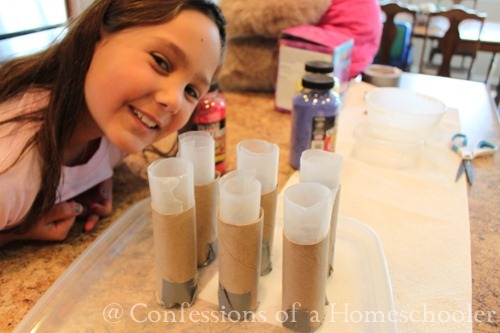 Hmmm…would it work to put the toilet paper tubes on top of the silicone molds so that the chalk is long, but rounded at the tip (the best of both!) Thinking about filling the silicone mold first then putting the tubes in (if they are the same width that is) and filling the tube. I will have to try! Thanks for the amazing idea! Love that it isn’t chalky on the hands!!! 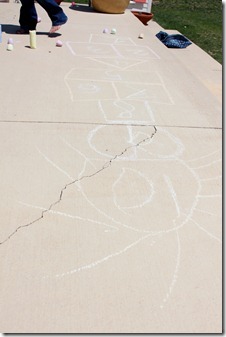 My kids love sidewalk chalk but I hate the mess it leaves all over their clothes and themselves when done. So gonna have to make these esp. with the note it does not leave chalk all over yourself! Thanks!